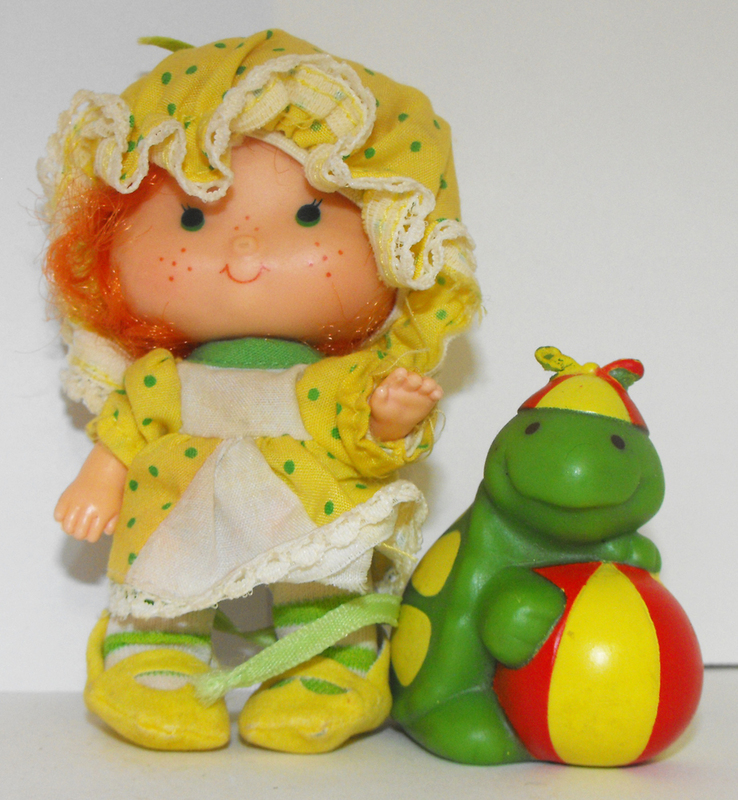 Party Pleaser Apple Dumplin' and Pet Tea Time Turtle from Strawberry Shortcake Cartoon Series. Very Good Condition, not in box or packaging of any kind. Dress is a tiny bit dirty, could use a hand-wash.